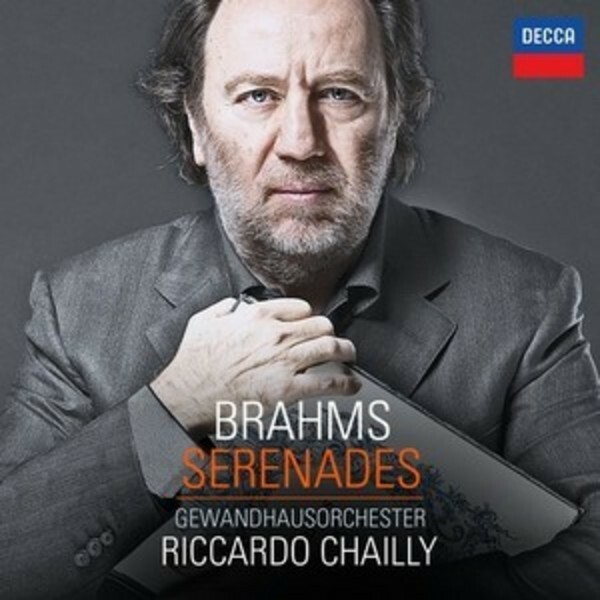 Following the ‘Gramophone Record of the Year’ award-winning set of the Brahms Symphonies, Riccardo Chailly turns his “rare talent for transforming music ripe for rediscovery” to Brahms’ Serenades. This exquisite recording renews these unjustly neglected and rarely performed works in performances of “trademark clarity” (Gramophone Record of the Year 2014) and marks the first Decca recording of these works since Kertesz in 1968. Forming part of the wider Brahms project undertaken by Chailly and his Leipzig orchestra, this release restores an importance to these works which they rarely receive. In Chailly’s hands they emerge not just as precursors of the symphonies but powerful and individual works in their own right.